Mon., June 4, 2018, 8:32 a.m.
WASHINGTON – A top Democrat in Congress is calling on the U.S. government to investigate Google, the latest sign that some of the party’s lawmakers are ready to challenge the tech industry after befriending it in the past. The new complaint comes from Minnesota Rep. Keith Ellison, a progressive in the upper ranks of the Democratic National Committee. In a letter to the Federal Trade Commission dated May 31, Ellison urged the watchdog agency to take a closer look at Google and its parent company, Alphabet, given that European regulators recently found that the search giant harmed its rivals and fined it $2.7 billion. “The FTC should determine whether Alphabet has engaged in similar conduct in the United States and whether such conduct violates the FTC Act,” he wrote. Ellison’s letter arrived about a month after the FTC gained a fresh roster, including new Chairman Joseph Simons, who previously has spoken about the need for the agency to “devote substantial resources to determining whether its merger enforcement has been too lax.” Many experts took the statement as a sign that Simons could be tough on corporate consolidation and antitrust. Simons has not spoken publicly about Google, and the FTC declined to comment. A Google spokeswoman did not immediately comment on Ellison’s letter. Going forward, though, Ellison’s criticism could presage even tougher scrutiny for Silicon Valley if Democrats emerge victorious in the 2018 midterm elections. “We’re seeing breaks in the ranks,” said Barry Lynn, the director of the Open Markets Institute, which has advocated for antitrust scrutiny of major tech companies. The probe Ellison seeks would mark Google’s second antitrust investigation by the FTC. 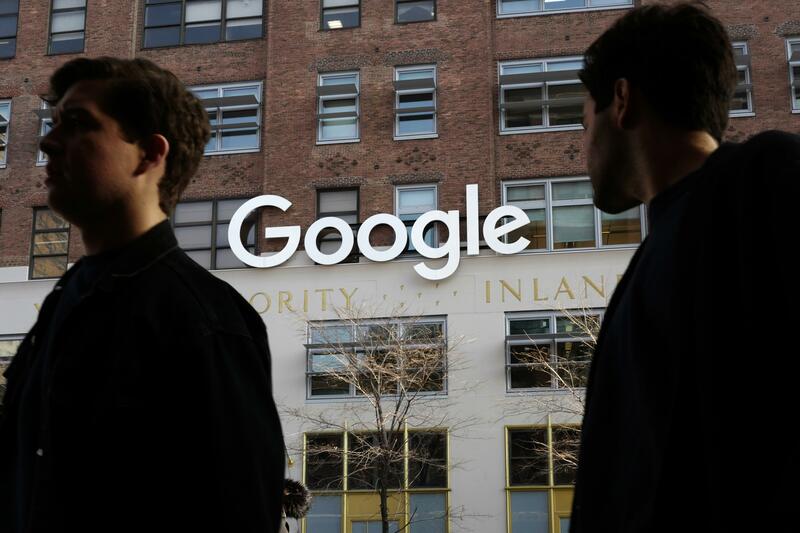 During its last inquiry, under President Barack Obama, the agency chose not to force Google to make major changes to its business practices or separate into smaller companies. That decision didn’t satisfy consumer advocates and corporate rivals, including Yelp, who still allege that Google continues to give preference in search results to its services over competitors — one of the arguments that prompted Europe to levy its fine. Citing those charges, Ellison on Thursday urged the FTC to release more information about its earlier probe. He also asked the FTC to detail whether Google had run afoul of a settlement it brokered with the agency in 2011 on another matter — misusing its customers’ private information. Among Democrats, Ellison is not alone in encouraging the FTC to apply more pressure to Google or its peers. On Capitol Hill, Sen. Richard Blumenthal, Conn., has previously recommended that the FTC to reopen its competition case. He and fellow Democratic Sen. Ed Markey, Mass., also wrote the FTC in May to investigate the way Google tracks smartphone users’ location data. If Democrats capture the House or Senate in the midterm elections this November, the spoils of their victories would include control of the gavels on key committees with the power to hold hearings on the tech industry, dig deep into its business practices and grill executives about the extent to which they aid or inhibit competition. “There’s no question that a series of acquisitions by just a few powerful technology companies has contributed to the centralization of information online – including the pathways for working Americans to access trustworthy news, commerce, and content,” Rep. David Cicilline, R.I., the top Democrat serving on the House’s antitrust-focused subcommittee, said in a statement. “Democrats are committed to restoring competition and aggressively cracking down on market power and economic concentration,” he said. Politically, though, lawmakers’ new push could also dent some Democrats’ efforts to continue raising money from major Silicon Valley sources. Workers, companies and other entities in the computers and electronics industry so far have contributed more than $42 million to Democrats ahead of the 2018 election, according to the Center for Responsive Politics. That’s nearly double the amount that GOP candidates have received, the group’s data show. Some Republicans similarly have trained their fire on the tech industry. That includes Missouri Attorney General Josh Hawley, who opened his own probe to determine if Google is stifling competitors. Hawley is also running for a seat in the U.S. Senate. Published: June 4, 2018, 8:32 a.m.